Over the years, specialty vacations have become a big hit. Whether you are traveling with friends or family, finding an activity you all can enjoy while on your trip is important. 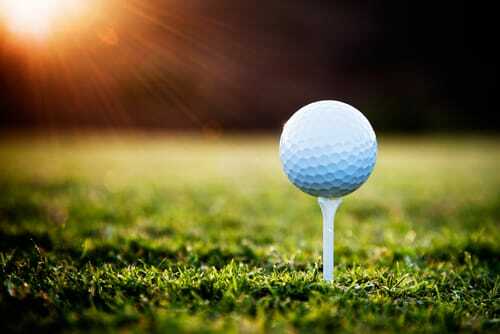 Recently, golf vacations have become a big hit. Golf is a relaxing and fun sport, and there are many gorgeous courses to choose from all over the world. Plus, if people in your party do not like golfing, there are usually many other amenities offered by golf and country clubs that they might enjoy. The golf courses near Sarasota, Florida, offer the added benefit of being close to both beautiful beaches and many art galleries and performing art centers, giving your family or friends other options besides just hitting the green. Located a little ways from Sarasota in Pompano Beach, Florida, Palm Aire is known for being the home to not one, not two, but four golf courses. The semi-private country club offers public golfers the opportunity to book tee times in advance. From the beauty and challenge of two championship 18-hole golf courses to wonderful dining and shopping opportunities that the Sarasota area offers. River Strand is a private, gated, golf community within the 2,500 acres of Heritage Harbour, wonderfully situated along the Manatee River. All vacation rental guests may enjoy use of River Strand’s 27-hole golf course, clubhouse and health spa, tennis facility, several resort style pools, 3,500 sq. ft. fitness center, a tiki bar, and restaurants for a low membership transfer fee. The golf course was designed by legendary golf course architect, Arthur Hills, and will delight golfers of all levels. It has tropical palms, stately oaks, and backs up to the Manatee River. Located in Sarasota, this country club features 27 holes of championship golf and has been voted “Best of the Best” for 18 years running by Sarasota Magazine. It also features 11 lighted tennis courts, a state-of-the-art Fitness Center and is known for being an award winning banquet and dining destination. University Park Country Club offers a private world of secluded neighborhoods that are beautifully situated overlooking shimmering lakes, preserve areas, and expansive fairways. There is also easy access to I-75, allowing a comfortable commute to St. Petersburg and Tampa. If you are interested in learning more about a golf vacation in Sarasota, contact Jennette Properties today. We can help you choose the right Sarasota vacation rental for you and your party to enjoy your experience.